Member of boy band "Arashi". From Indonesia Sep 03 2018 1:56 am Please held concert in Indonesia, even just once in Arashi's life time. I was baited by Jun from Hanadan. I'm understand why some people don't like his nasal voice. But for me, from the first time I heard, I said "Oh, he can sing". I like it. Then, I started to listening to Arashi, and often looking for Jun's part. Chrizelle Jun 26 2018 9:01 am Hi! Jun? Chrizelle Ambal desu? Your number 1 fan here in Philippines. Hope to see you here. LLLOVE Feb 27 2018 9:29 am You are one of the best actors I've ever known and I've adored you since Gokusen. The newest season of 99.9 is wonderful, I hope a third season will come soon. I also love your role as an idol, you may not be the best singer in Arashi, but you have wonderful dancing skills and idk how to describe it, but you are very kirakira(? Good luck to you and Arashi. Wayer Jan 13 2018 1:44 am Momo, you will be forever in my heart. Will you be my pet? LOL. And btw, best Domyouji Tsukasa ever. Full stop. FromPHwithlove Nov 06 2017 3:05 am MatsuJun is an amazing and superb actor. He's so talented. Acting, singing, dancing. Wow! And an absolute ikemen, too! I love him! Ah Ra Jul 22 2017 12:57 pm Im a solid Kpop fangirl but I dont why and how I ended up watching Jdramas lately? Anyway MatsuJun Watashi wa hontoni anatagasuki ? I want to see him more on upcoming dramas? His acting is just too-- I really love Momo and Yori ㅋㅋㅋㅋ I admire him a lot. Hope to see him soon? Ok, I'll go now. I've relieved myself of the "kyaas". Nessa Jun 14 2017 9:55 pm I've been into jdramas lately and he's the first j-actor whom I really liked. He's talented and I love his versatility as an actor, although I really prefer him doing wholesome and non-romantic roles. Haha. He's also good in doing stunts. He doesn't even need extras to do stunts for him lol I wish to see him in an action movie, though I'm not a fan of action movies. XD I also admire him for his talent in concert directing, like come oooooon. His ideas are wild and crazy. syabina Feb 01 2017 9:28 am i love his acting in hana yori dango as tsukasa. so he is a singer actor. no wonder his movies and dramas are not enough. Rotem Jan 31 2017 11:03 pm Jun hes great actor In hyd he played very goood. Imaan Jul 27 2016 9:36 am Hi, I am from London and have recently finished watching all the Hana Yori Dango series. I think you are one of the best actors I have ever known. If your reading this then good luck to you and inoue Mao. My favourite part you have acted is Domyouji. So kawaaiiii! Matsumiyalover Jul 14 2016 2:52 am Wishing all the best for you and Arashi. Nicole Bio Ymata Jun 15 2016 6:18 am He is Good in acting ! He is so Talented Person. Dissolve May 14 2016 4:38 am Jun and Mao I believe are married now. They have been together for 9 years. Mizpah Mizpah May 11 2016 7:13 am Glad to see him back doing small screen dramas with 99.9 Keiji Senmon Bengoshi/99.9 Criminal Lawyer. Two years waiting has been too long! lenny May 03 2016 3:38 am I like you a lot since Gokusen and you really nailed it in Hana Yori Dango. Looking forward to see more dramas of you. Thanks for being a good actor, I root for you. Mikaela Francisco Jan 30 2016 12:49 am I am looking forward to see you someday. Wish you all the best and of course to Ms. Inoue. I trully love you both. Makino, Domyouji, Rui, Sodjiro and Akira will always be in my heart forever. Arigato. 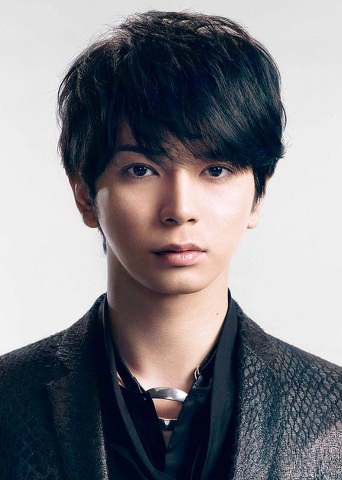 Mikaela Francisco Jan 30 2016 12:46 am Hi, Sir Jun Matsumoto, my name is Mikaela Francisco and I'm 18 years old now. I want to introduce myself to you because I want you to remember me. I'm not sure if you will read my comment but I really wish you will do. I'm from philippines and I should say I am not really good in English but pls try to understand this letter. I was only 7 turning 8 when I first watch Hana Yori Dango but despite of being a kid I still feel back then how love can be wonderful just by watching you and Ms Inoue act as couple. I have many things to say to the both of you. How my life change the moment I watched your drama series. Ever since then I have this dream of me to someday go to Japan just to see you and Ms. Inoue. I just really wish you end up to be a real couple in true life but if you don't it will also be okay with me as long as you were both happy in the decision you will be choosing. Quikry Oct 25 2015 10:52 pm currently waiting what drama will he starred in next. I'm a fan of him, ever since I watched Gokusen. I just hope Jun and Yukie reunite in a drama or a movie. Eurika Oct 07 2015 9:37 pm I just can't get over you..!! !..I was 12 yrs old when I watched your drama series "Hana Yori Dango", that was the moment when I first fell in love with someone. Funny to think that my first love was a TV actor..But now that I turned 22.."WHY STILL CAN'T I GET OVER YOU..??!!.." Trang Mar 15 2015 3:56 am I hope that near future Matsumoto Jun and Mao will come to Viet nam. I love you and I want to see both of you so much. rubyleen t. fuentes Apr 30 2014 7:54 am I would like to request that hopely someday my favorite actor matsumoto jun will visit philippines and will make a movie. arigato gusaimas. d Jan 12 2014 5:41 pm Love this guy's acting and charisma. I esp love his dramas Hana Yori Dango and Lucky Seven. Cannot wait for his new drama! VanessaKimmie Dec 12 2013 6:00 pm I want Jun Matsumoto to do another romance drama series with Mou Inoue! TedyLen Dec 05 2013 2:31 pm Your smile is stuck on my mind. I fell in love with all your facial expressions. Your voice is what I wanted to hear. MatsuJun is love! Mariatsujun Oct 28 2013 5:45 am I will marry you Jun Matsumoto. Just wait. MsBrooklyn11232 Oct 21 2013 7:52 pm I really wished that Jun Matsumoto and Moa Inoue went out together in real life. They make a cute couple. eunice Aug 15 2012 10:03 am Honestly I'm so tired of this... Saying Jun is so handsome, so talented, so gorgeous and blah blah blah~ Instead I'm much concerned for those negative comments about him, that makes me LOVE him MORE! I dunno why. BUT I LOVE HIM SO MUCH! It will take a week explaining why should I love this. Seriously. cheng Jun 01 2012 1:27 am i really like you matsumoto jun <3 specially in your role in hana yori dango :)) hope you visit the Philippines ... keep up the good work :) God bless !!! Saori11 Jan 07 2012 6:50 pm Hana Yori Dango and Kimi wa Petto. sabbie Jul 06 2011 12:36 pm I started loving this guy in Gokusen. I really want him and Yankumi (Yukie) to hit it off like that in the manga but sadly, he never had any appearance in any Gokusen series after that, not even in the movie. Ah... I ship Shin-Kumi to the nth power!!! Tem May 19 2011 12:23 pm Who said that matsujun not handsome ??????????? Dammn it ! I think he's really handsome . I think he has very special looking for Japanese guys. . He's got big and beautiful eyes .... And his eyes blow is so special. His skin is so radiance . I like everything about him . He's very very perfect . I've never feel that someone will look better than him . When he was young he was so cute too. I saw his pics and corrected them from 1998 from many Japanese magazine like myo Jo Duet Etc...... Matsujun is the best !,,,,,,,,,,, Love and honest to you matsujunnnnnnnnnn. 大好き大好きな大好き. 松潤 ohhhh and I love his new hair style ..... Really cool and super handsome !,,,,,,'! Yasyl Merca May 07 2011 5:51 pm I'm a fan of Shin Sawada of Gokusen and Domyouji Tsukasa of Hana yori dango...Your are so handsome...Wish I can see you on person....Love your movies also....Your so good at acting!!!!! Castel Dec 07 2010 9:35 pm He's in love with an older woman again, this will be his 4th i guess....Jun is with maki horikita and shun (again?) in wagashi...yey! blackitty Sep 27 2010 9:00 pm matsumoto jun is an amazing actor, but i don't think he is handsome. n of course, love him so much!! cant even wait for Natsu no Koi wa Nijiiro ni Kagayaku!!! the director is from Hero and Pride!! we're going to have a really good drama here!! MsGuccibabie Jun 11 2010 11:42 pm I LOVE JUN!!!!!! Hana Yori Dango is one of my Fav shows of all time!!!...... I want to see him act with my most fav actress of all time.................Horikita Maki!!! Oh.My.Gosh I would love to see Maki as Jun love interest..... that would be freakin awesome!!! Anzu May 30 2010 8:18 am Sounds like a challenging role, but that's exactly what he needs. But of course he'll make it seem like a piece of cake, even though it's the complete opposite. He's done many different roles, all of them unlike the other and he's played them absolutely flawlessly. It's going to be interesting to see him in this drama. Can't wait! Mila May 27 2010 9:03 pm he gonna be start a drama in july call Natsu no Koi wa Nijiiro ni Kagayaku, he gonna be in love with a older woman, is gonna be awesome!! Ljuba (Russia) May 16 2010 6:12 am I think Jun Matsumoto is great actor. Every his role don't like past. He don't afraid looks around bad size. He take very interesting and sometimes difficult roles. I respect this person as actor. Ashley Jan 13 2010 10:21 pm Matsumoto Jun is so handsome!!! I loved in him in Hana Yori Dango... and I love Arashi! Eliana Jan 12 2010 10:49 pm I don't know what you guys are taking about, but I think Matsumoto Jun is really gorgeous!!! He has a very unique face that you don't see very often. And yes, my eyes are open like this O.O! Keeping my eyes like this O.O doesn't make me realize that he is NOT handsome. It's just our brains way of perceiving things. Everyone has different tastes, one person may be handsome to someone and not the other....life goes on. Just saying, he is a good actor and singer. Especially love Arashi. Trish Jan 12 2010 10:39 pm Anon, Just wondering....since you say Matsumoto Jun is not handsome, and you apparently know what handsome looks like...what guys do you think are handsome? I just want to know...cause I think it would be interesting. Just want to hear your opinion. However, beauty is in the eyes of the beholder. I think it is really sad, how people just judge others by appearances and don't judge what is underneath. Martins Dec 28 2009 10:22 am Anon and you know beauty is not everything but charisma, originality (Matsujun has an unique look) and talent. Martins Dec 28 2009 10:20 am Anon Yes Matsumoto may not be "handsome" but at least you admit he is not a bad actor. I guess you are a fan of BOF. anon Dec 25 2009 2:30 am I don't know what's so great about this guy. He may be a neutral actor, but he isn't a great actor. And I'm sorry but he's just not that good-looking. I don't know what's wrong with you fan-girls eyes. Open them! Like this: O.O I'm just kidding. But seriously, he doesn't have the "looks" to swoosh me and probably some other girl out there. I know what is handsome and what's not. Trust me, I just know. Surely he looks a lot like Mizushima Hiro, but Hiro has more manly features and looks more handsome. I'm a fan of neither though. Docalion Dec 10 2009 10:35 pm MatsuJun rules!! HE's the greatest Japanese Idol ever!!! InvisibleWings Jul 21 2009 9:36 am Hello everyone! Does anyone know were I can see his movie "Only Love"....plzzzzzzzz? Nashla Jul 17 2009 10:54 pm Does anybody knows were i can buy or see his movie "Only Love" ???? I have looked and looked with no luck so far. Kenzie Jun 22 2009 10:46 am Matsumoto-san, much love to you. Raimi Apr 27 2009 6:37 am Much, much love to this guy. He has the sweetest smile in the world. Tai Apr 18 2009 9:17 am Matsumoto-san is a wonderful and very talented actor, his characters are always the best! The most adorable thing in the world is his smile..
Glisa Aug 16 2008 8:10 pm I really want to see this movie I'm going crazy. Someone please tell me it will be out in the u.s. or atleast on the internet.